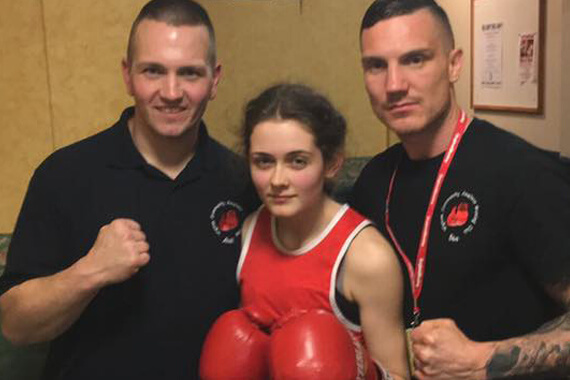 Wigton Community Amateur Boxing Club was founded by 3 men from the small town. Andi Crossman, Arthur Greaves and Paul Radcliffe founded the club on a plea from local police to help battle anti-social behaviour within the town back in 2009. 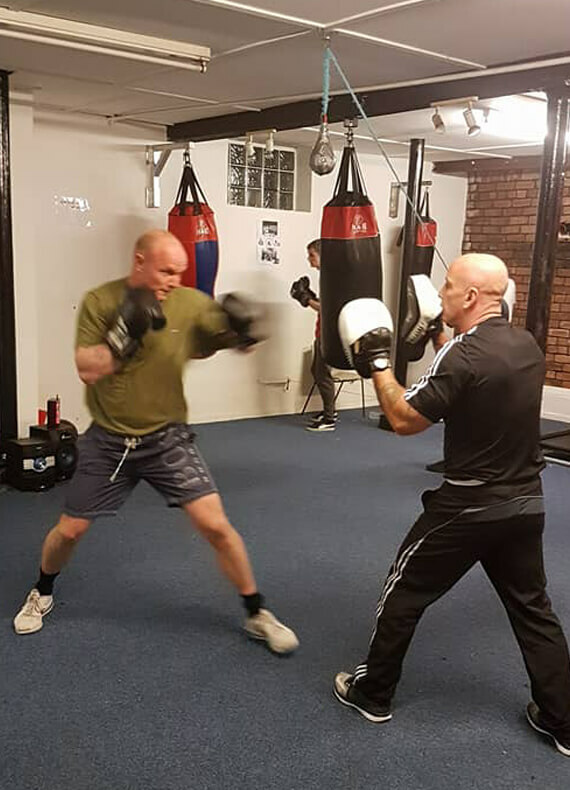 Each person had big roles in the club Arthur being a professional coach for years in Manchester, Andi, former England international and British amateur boxing champion and Paul being an ex-town mayor had the contacts needed to secure the funding to start off. 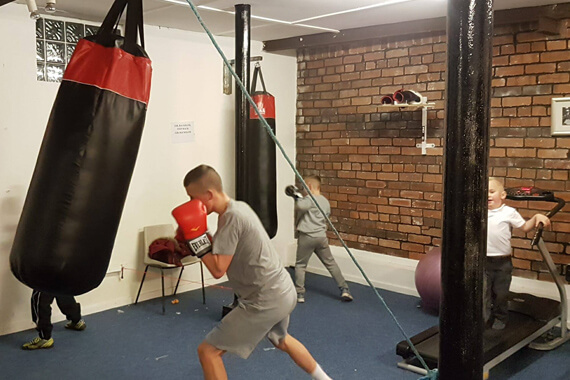 We gained premises in an old school hall in Wigton where the club gained the interest of some locals and started coaching them in the noble art of boxing. Boxing is a Great British tradition and noble art that has long since been recognised as a sport worthy of Olympians. Learning to box develops and nurtures courage, encourages discipline and self control leading to increased confidence all while developing very high levels of fitness. 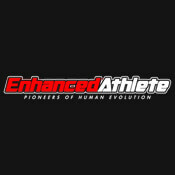 Boxing is as much about self control as it is about physical ability; it requires strength of mind as well as body. People share respect with boxers and boxers respect each other. These are the values and benefits you will develop and maintain when you learn to box at Wigton ABC. 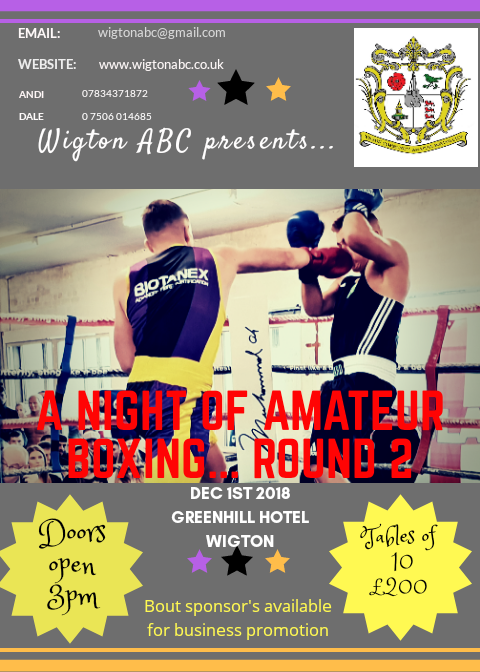 Wigton ABC boxers start training under no pressure to step into the ring. When and only when you are ready you will be given the opportunity to spar. Ambitious boxers over the gae of 11 have the option of becoming officially ABA Carded and are then entitled to box competitively. 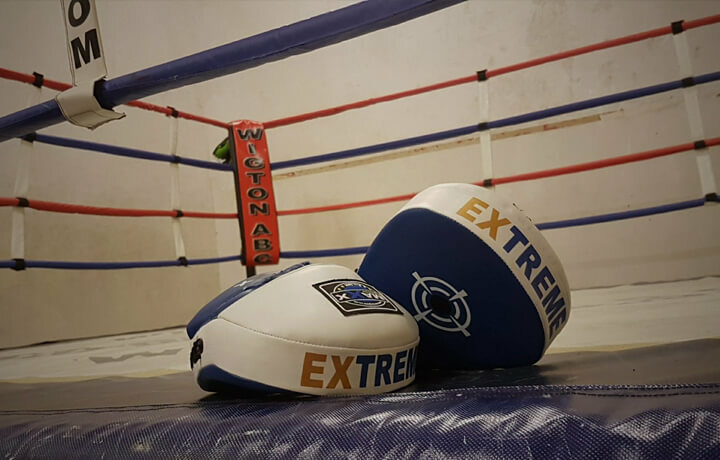 At our boxing club you train extensively with pads. 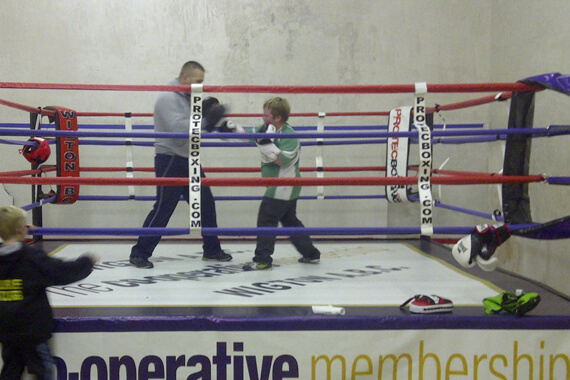 At our boxing club you can train in a boxing ring. At our boxing club in wigton we can lend you boxing gloves and hand wraps. At our boxing club we train on the bags regularly. At our boxing club you can become a boxing champion. 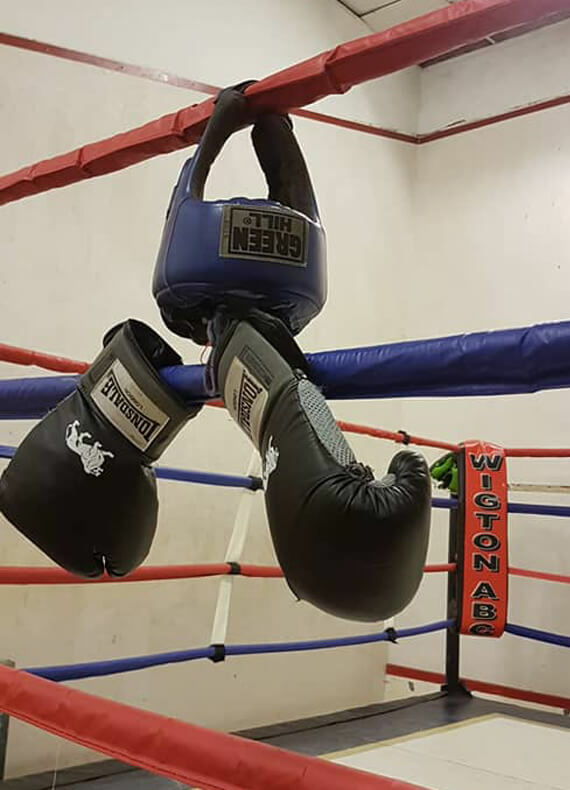 The path of boxing training is yours to choose and one which the coaches and trainers at Wigton ABC will guide you along, helping you every step (and punch) of the way. Why NOT learn to box? 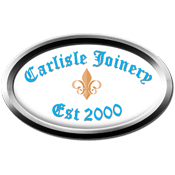 Contact Us if you would like to visit our facilities and observe a training session; you’ll be very welcome. 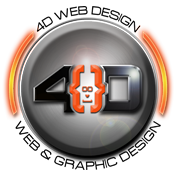 You can contact us any way that is convenient for you. We are happy to answer any of your questions. You can visit our gym personally if you like.